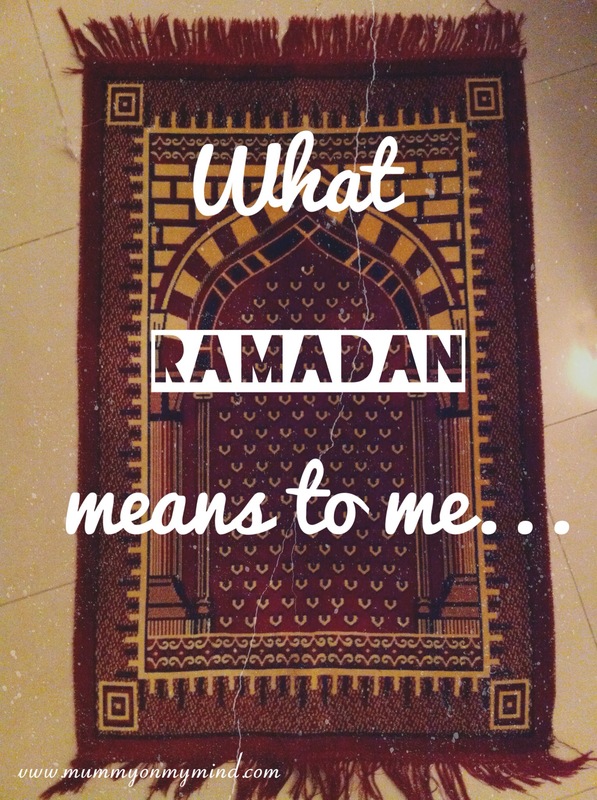 Being a Muslim, Ramadan is the most special month in the Islamic calendar. It is the month that Satan is chained up, and the shower of God’s mercy rains upon all Muslims more than ever. The night of the moon sighting always fills me with a tingling excitement. I can’t describe that feeling of inner peace and fulfillment. You see, Ramadan is not simply about the fast which refrains us from consuming food from dawn til dusk, but we must also fast with our other senses- in other words: see no evil, hear no evil and talk no evil. It is a month to reconnect with Allah, the Almighty, and ask wholeheartedly for forgiveness. It is a month to better ourselves as Muslims, as well as human beings. It is a month that teaches us self control, humility, sacrifice, good will and so much more than I could possibly fit into this little post. I’m not going to lie, the first few days are tough. There’s plenty of tummy rumblings and weak limbs, but our bodies do a great job at adjusting, and of course Allah gives us strength. Once the rhythm catches on, the days seem to snowball into the next far too quickly. For me, by the third or fourth day I am all set into the new routine. During Ramadan, my prayers increase in frequency and so does the time I spend reading Quran (the Holy Book). I am currently reading the Quran in English, because although I can read it in Arabic, I do not understand the meaning. (Yup, exactly… What use is that?!) I hope to finish reading the Quran in English by the end of Ramadan, so as to gain a much better understanding of Islam. Breaking the fast at sunset with my family is a gratifying experience, in regards not only to the food but also the well being and togetherness of the family around the table. I love to break my fast with a sweet date and then dig into a scrumptious meal that I am blessed to share with my family. I must remember not to eat too quickly, as it just ends up giving me stomach cramps, and makes praying straight after a whole lot harder too! I must admit, somewhere near the mid of Ramadan, efforts from me begin to wane or dwindle a little. I find myself shortening or quickening my prayers. However, the prayers once again lengthen in the last ten days of Ramadan since they are the most fruitful during the month. Who would want to miss out on extra brownie points given by God himself? As the last few days of Ramadan approach, there is a sense of urgency. An urgency to collect as many brownie points as possible before the month ends. There is also a sense of excitement for the big celebration to follow Ramadan that is Eid! Before marriage, Eid used to be very much about dressing up and showing off my new outfit to all my cousins who were equally glammed up. With time and experience, I have come to understand that Eid is much more than that. So now, as we congratulate each other on the sighting of the new moon, I quietly pray to myself that Allah blesses me with the chance to live past another Ramadan. In sha Allah (If God wills). This Ramadan is going to be yet another challenging one in terms of fasting in the peak of summer in sizzling hot Dubai. Yet, I am grateful to be witnessing yet another holy month and hope to make the best of it! Thank you for your lovely comment and for reading. It is very much appreciated. ? Lovely reading this and I don’t envy you in the summer heat. I guess here you have the searing heat and in the UK you have the longest day of the year. How do you manage with a baby in Ramadan? I mean I know that they can eat and drink but how do you find the energy to keep up? Do you find yourself doing more independent activities and indoor crafts? I love religion posts, I find it fascinating how different yet similar they are. Oh oh and my final question, do you know what happens to Muslims who are in countries like Iceland that don’t actually have a sunset at times? Would you have to change the rules? Thank you so much for reading and I am glad you enjoyed the post! Haha yes the long fasts in UK are definitely just as testing! I am currently drafting a post that compares my ramadan experience in UK and UAE which I sure you will find intriguing! As far as fasting with a baby, this is infact going to be the first ramadan I will be fasting after becoming a mother. Last year, Baby Z was only 3 months and I was breastfeeding. Islam allows mothers that are breastfeeding to not fast, as long as you catch up on the fasts later on. Also my mum had come to visit, and helped out with Baby Z alot, like when I wanted to pray etc. So, I am also very much eager to find out how this ramadan will go, but one thing is for sure, the month will mainly consist of indoor play!! Haha! I hope to blog about the whole experience once the holy month comes to an end. As far as I know, muslims in Iceland or such countries can follow the fasting times of the country next to them, so eventhough the hours would be long, they still have a time to adhere to. I hope that answers all your questions, and I would be more than happy to answer any more that you have! Thanks again for reading! ? What a lovely post. It’s nice to hear more about what Ramadan actually entails – I knew that it involved fasting but I didn’t really know why. I know that you get strength from God but I think it still must take a huge amount of willpower and belief to alter you life during the month. I’m looking forward to your next post. We have a girl from Jordan working with us at the moment and I know she found fasting here very difficult. Thank you for reading! You’re right, it definitely does take plenty of will power too, especially in the last hour before sunset! Glad you enjoyed the post! ? Interesting read. One of my close friends in a Muslim too! Good luck to you. Enjoyed reading this post. Thank you! Glad you enjoyed reading the post! ? Happy Ramadan to you. Thanks for sharing, I found it really enlightening. I hope it works out well for you. Thank you! Glad you enjoyed reading it, and I hope so too! Thank you! I’m glad your found it interesting! Haha yes it definitely takes some strong will power, especially when you start craving for chocolate like me, but it can be done. Thankfully it also gets easier! ?